Preheat oven to 375 degrees F (190 degrees C). Arrange almonds in a single layer on a baking sheet. Toast in oven for 5 minutes, or until nuts begin to brown. Watch carefully to avoid burning In a food processor, combine the vinegar, oil, cranberries, mustard, garlic, salt, and pepper. Blend until smooth. 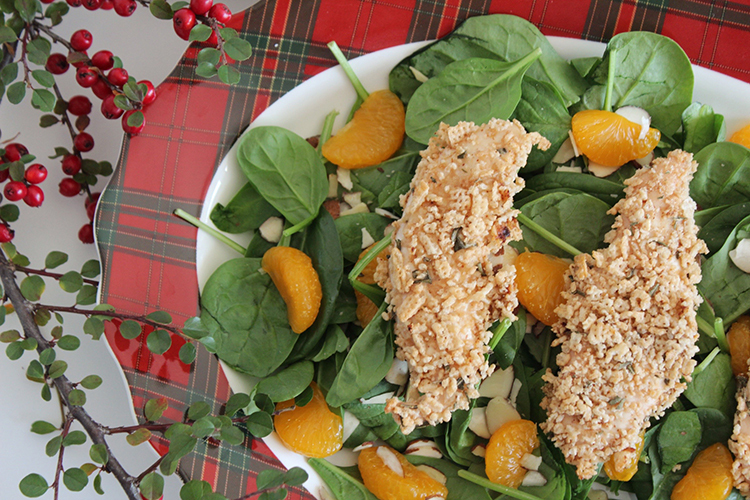 In a salad bowl, toss the almonds, mandarin and spinach with the vinaigrette Note: salad dressing would make a beautiful dip for the tenders if you prefer not to mix! Looking for more delicious, Chex-inspired DIY recipes? 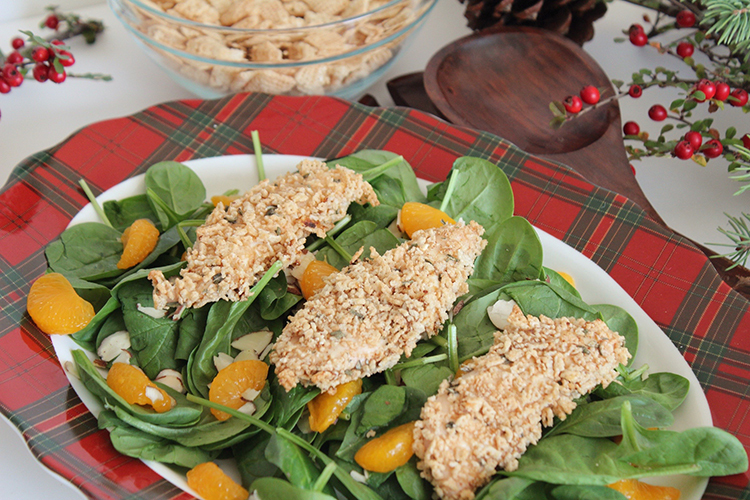 Head on over to Chex.com for plenty of simple and healthy ideas!